Brian and Michelle concluding their wedding vows/ceremony with a traditional exit at the quaint and rustic Castle Hill Cider venue located in Keswick near Charlottesville, Virginia. The two chose to merge their roots as Michelle's family is of Jewish decent and Brian Indian. 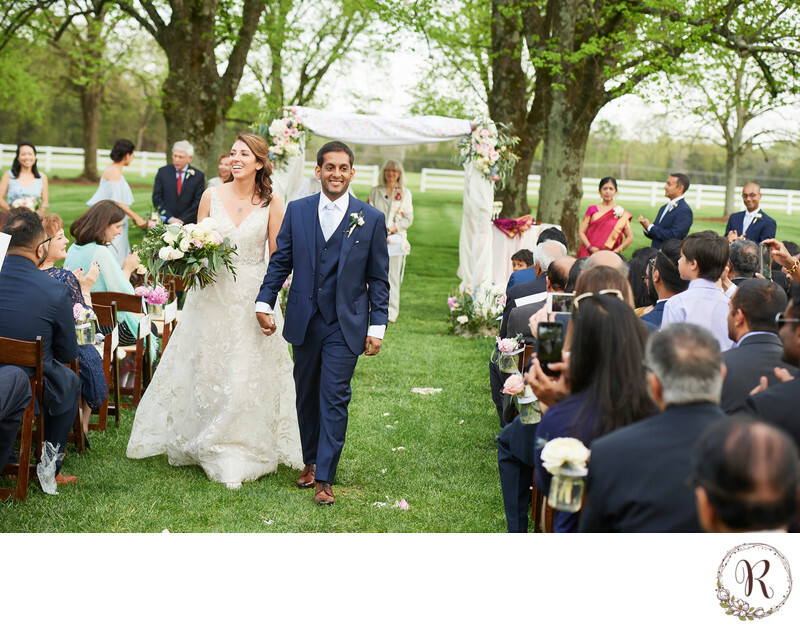 The wedding ceremony included beautiful touches such as the tying of the thali and smashing of the glass to represent both cultures and traditions. Wedding Exit at Castle Hill Cider. Location: 6065 Turkey Sag Road, Keswick, VA 22947. Keywords: Castle Hill Cider (189), Keswick (189), Outdoor Ceremony (210).